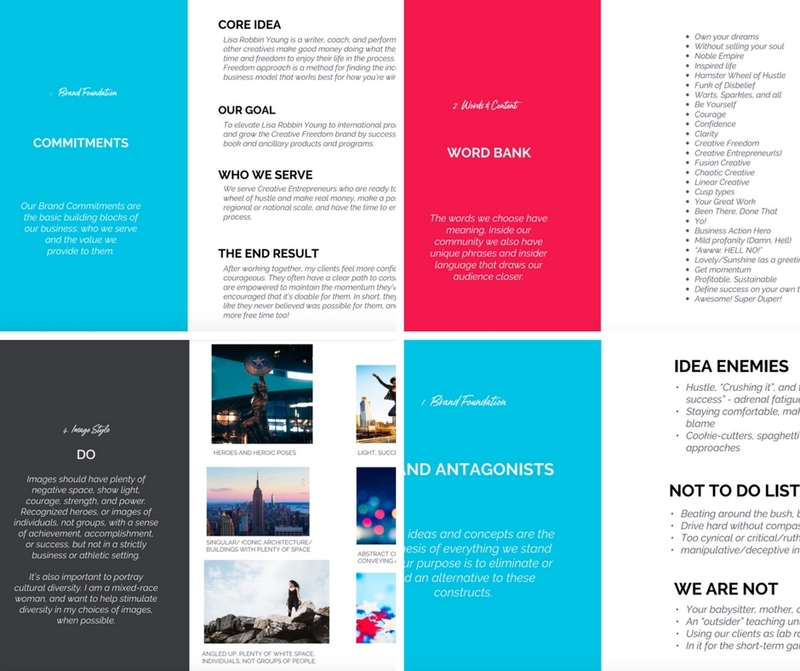 When I launched my Brand New Brand program for the first time back in 2015, my main goal was to help more ambitious brand builders at a lower price point, in a supportive group environment. It’s my program for those getting started and whose businesses have revenue than $100K. Often the students of the program need to build their brand from scratch. Since then, I’ve helped more than 100 ambitious entrepreneurs build meaningful, cohesive brands that align with their core personality. I’ve been completely floored by the incredible results and feedback I’ve gotten from my students. This brand incubation program has made such a huge difference for so many hardworking entrepreneurs, and I’m forever grateful that I get to be part of their brand-building process. Proud is an understatement; I’m in complete AWE of my students every day. They are dedicated, talented, focused, persistent, and driven. I love carving out some of my professional time to dedicate to these amazing souls who join the BNB journey! So I wanted to take a moment to brag on some Brand New Brand students who deserve alllll the brags. No being humble, no sitting down! 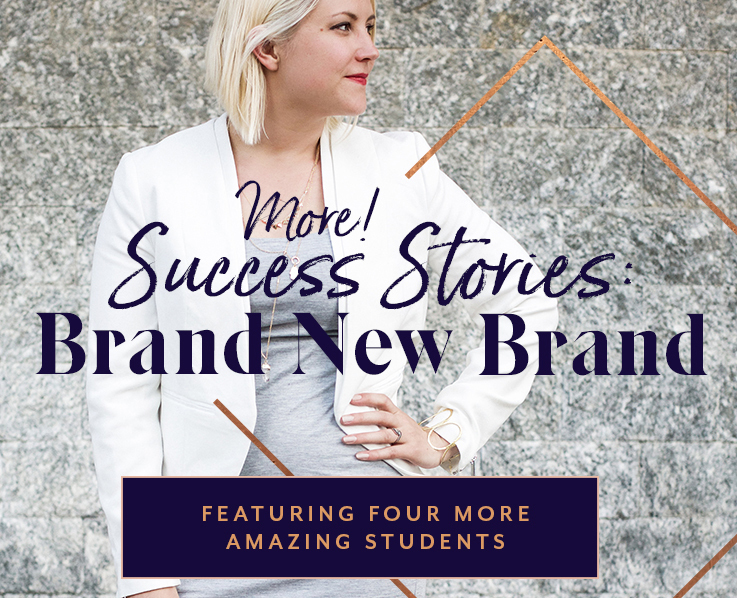 Check out these inspiring success stories from Brand New Brand! Before enrolling in Brand New Brand, Sarah’s brand was non-existent. 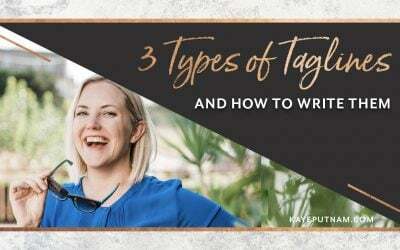 While she had plenty of great ideas, she struggled to build a cohesive offering and lacked the confidence to put herself out there as a professional. She hoped that BNB would help her find clarity around her brand and attract her best audience… and that’s exactly what happened! 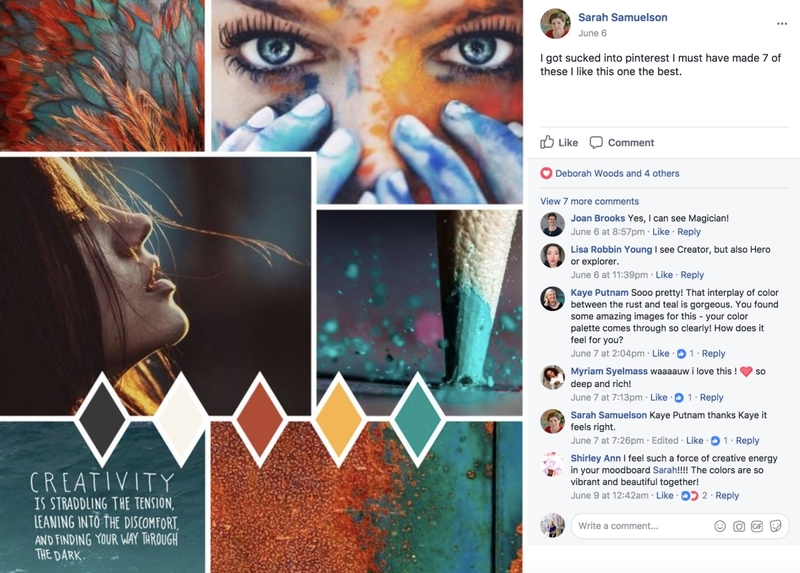 Speaking of getting things done… Sarah found the Brand New Brand Facebook Group to be a key source of accountability and support as she reigned in her brand. Sarah’s advice to future BNB students? 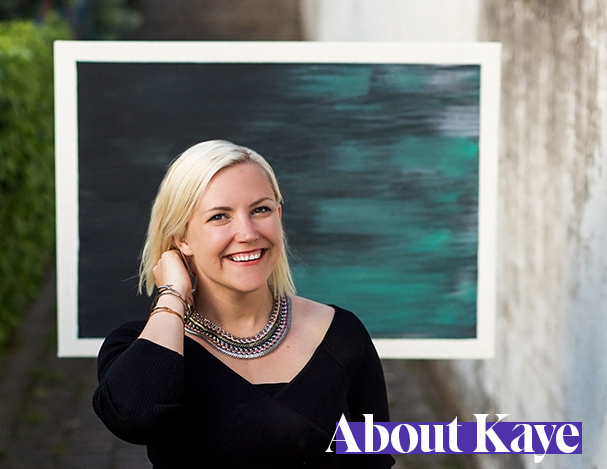 While Elizabeth started with a pre-existing business, her brand lacked a clear identity. She felt that her brand messaging and aesthetic didn’t flow well, and came into the course feeling less than confident. Luckily, an “aha moment” came quickly for Elizabeth as she learned more about her brand archetype. Before long, Devon’s Doggie Delights began to take shape. 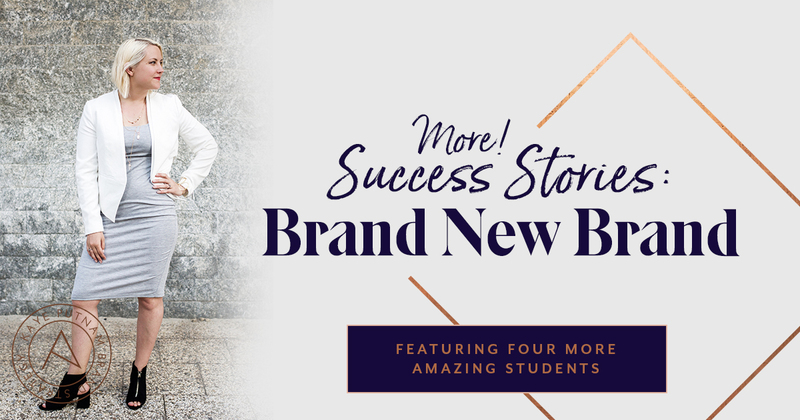 Feedback and encouragement from her fellow BNB classmates upped Elizabeth’s confidence – in herself, her brand, and her work… and success followed! Just 3 months after completing the course, her revenue has doubled! She’s also managed to significantly grow her customer base and average order amount without needing to offer specials. Just check out this recent post about her holiday sales! These days, Elizabeth is getting lots of reviews and social media recommendations without needing to ask for them, and has even been approached by popular dog-themed Facebook groups to promote her handmade treats! It certainly worked for her! 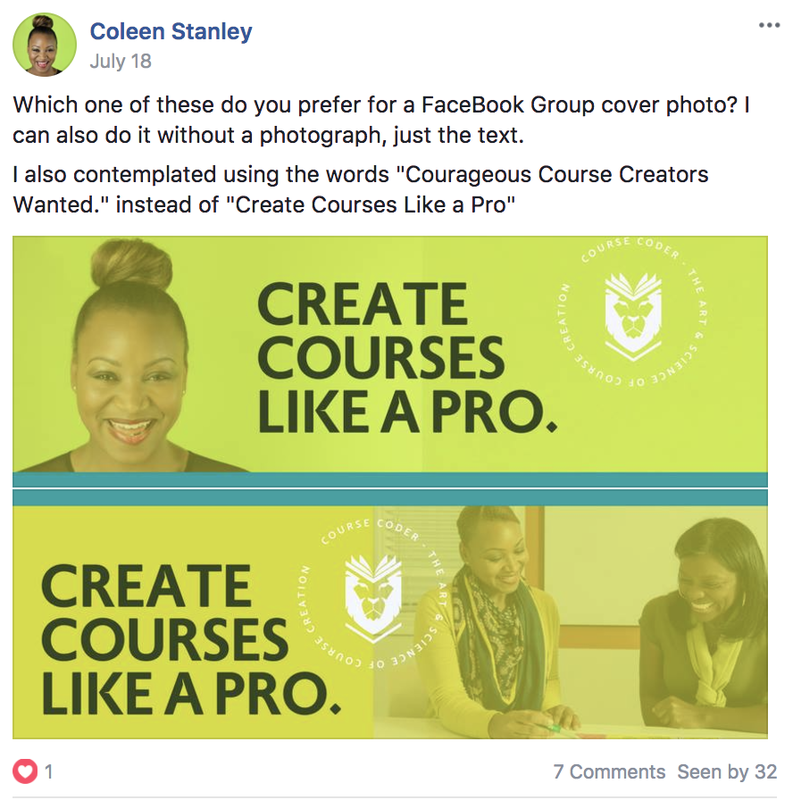 Before joining Brand New Brand, Coleen was an independent contractor working for university and government clients to build online courses and programs. 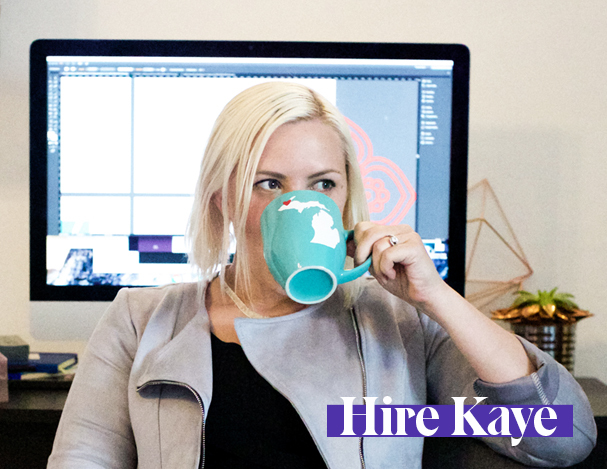 Although she had a website, logo, and brand colors, she wasn’t confident in these choices and felt that her brand as a whole was inconsistent. One of the most active participants in the Brand New Brand Facebook Group, Coleen truly made the most of the experience. After completing the course, Coleen was able to make confident decisions faster – allowing her to produce incredible, consistent work that she’s proud of. AND picking up new, exciting clients! Coleen just goes to show you that confidence and clarity can go a loooong way in your biz! Unlike many of my Brand New Brand students, Lisa came into the experience feeling relatively confident in her brand, Creative Freedom. However, with a rebrand on the horizon, she wanted to learn how to transition elements without alarming her audience – making group feedback extremely important. For Lisa, Brand New Brand brought clarity to her brand – not only for herself and her audience, but for her entire team. Since completing Brand New Brand, Creative Freedom has rebranded with market clarity. Now, it’s easy for visitors to understand what her brand stands for and if her work is a good fit for them. Ultimately, this has saved her time and helped her hone in on her best clients and customers. Her advice for incoming students? Isn’t it time you bring your brand into the light? 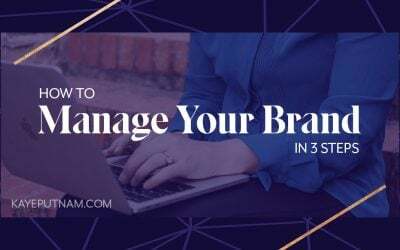 If you are just getting started, bringing in less than $100K a year with your business, and need to build their brand from the foundation up – this program is for you! 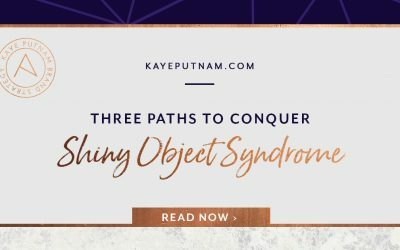 Within you will uncover my step-by-step process – the one that I use with my one-on-one clients. Brand New Brand is calling you home! Do you have an idea for a brand that you’re bursting at the seams to start? Do you want to grow your brand past your first $100K? Do you need to better identify who you are to your ideal clients? Do you need more clarity and confidence in your brand? If the answer is yes, join Brand New Brand and get ready to transform your business! I’d love to welcome to you the family. Plus, with the been-there-done-that tips from our past students, you’ve got a running start! Want more? 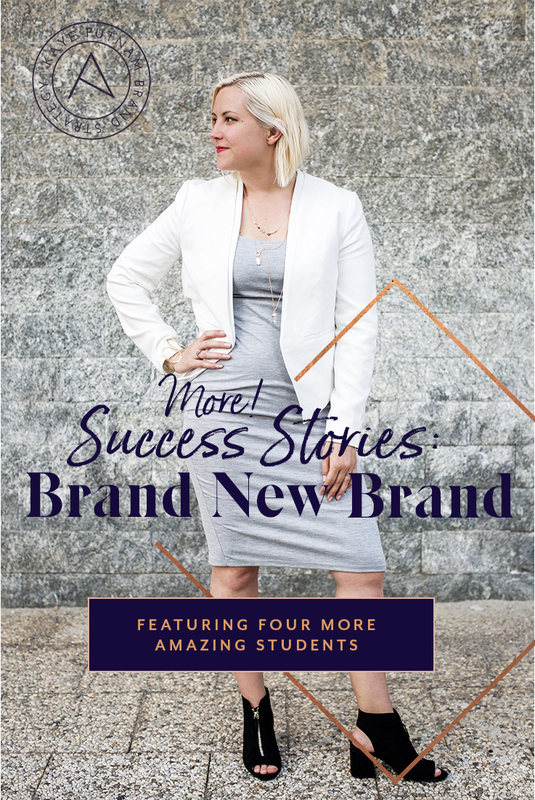 Read about FOUR more rockin’ entrepreneurs and the brands they created in Brand New Brand here.